Guess who's back?! That would be me! I have to say, you never know how much you need a vacation until you take one. Life isn't getting any less stressful...and there is nothing, nothing better than a week away from home in the blazing sun of a beach! 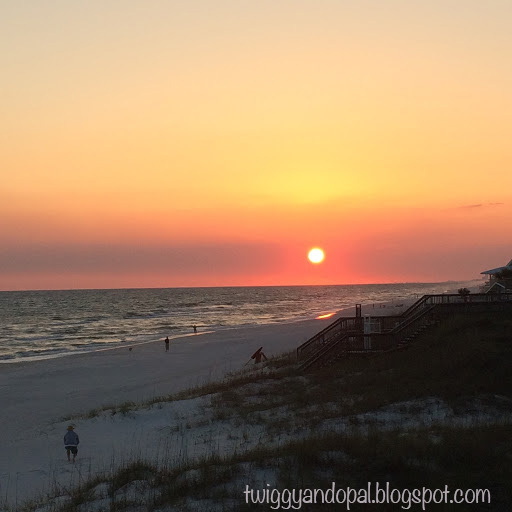 This is one of the many beautiful sunsets we enjoyed at the Gulf Coast. The sun was huge and watching it set was a sight to behold! You just can't get that in the city! I'm sure I was meant to always be at the beach, something tropical with beautiful blue water and white sand. Paradise. From Nashville to Inlet Beach Florida is about a 7 1/2 hour drive. It seems much longer going there than coming home. We played a goofy travel bingo game that kept us occupied and actually had a lot of fun making our own rules along the way! It made the drive a little more bearable! ...and so this quilt...is finally finished! I was sure I'd go crazy with a week away from all things sewing related, so I brought it along to finish the final touches. Burying threads and sewing the binding on, that's all that was left. I also thought it would be fun to take pictures of it at the beach too! The truth is, I took these pictures an hour before we were leaving to drive home! I know! I was surprised at how much I was enjoying not doing any quilt/sewing related anything. A true vacation! After the binding and thread burying was done, I basically wadded it up and tossed it aside. I knew I would hate myself if I didn't get at least a couple pictures. How often will I get the chance to do that again?! The small condo (6 units) we stayed at was right on the beach. Ten steps to the sand, 50 feet to the water. You can imagine the view! As a reminder, I purchased the fabric for this quilt on Etsy at Stitch Stash Diva. If you are in the market for fabric...check it out! That wadding it up part...it wasn't until this afternoon that I yoinked it out of the bag for this picture. Ignore the creases! I really need to wash it! You can barely tell from this picture, but I used two different purples for the binding. I tried to place the darker purple around the bottom right side and the lighter purple towards the top left. Keeping with the gradation! I kept the quilting very simple. Horizontal and vertical straight lines on the 'ribbon' sections. I wanted to keep the flow of the weave without crossing over the different colors. The squares between the weave, I stipple quilted to add a different texture and hopefully letting the design stand out a bit more. While the quilting was simple, I did use quite a few different thread colors. 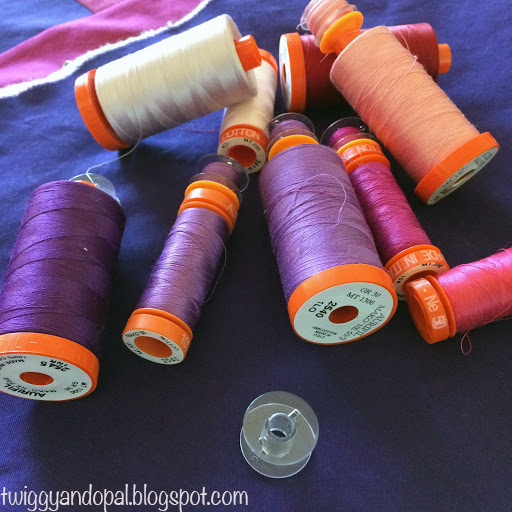 I raided my Aurifil thread stash and found enough colors that would work with the gradation of fabrics. Pale Pink (2410), Bright Pink (2425), Blossom Pink (2530), Magenta (2535), Burgundy (1103), Medium Purple (2545), Medium Lavender (2540) and Pale Lilac (2564). Just a few! One of the simple pleasures was watching the pelicans fly by! I was bound and determined to get a picture! However that proved to be easier said than done!! I could never get my camera up and going in time...until the morning we were leaving! It was so relaxing to walk the beach and search for shells. My daughter is a shell freak and I knew if I didn't come home with a big bunch she would never speak to me again! She's still talking to me so I must have done good! The ones for her were way bigger than the ones in the palm of my hand! Now I'm home! There was no time to sit back and relax either! With two deadlines, I had to jump back into the sewing room the next day. To say I enjoyed the beach magic is an understatement. It was like I had been holding my breath for months and I finally got to breathe! I know that's a little weird! I think taking time away from home, sewing, social media, cooking and really every day sludge is a very good thing! My summer vacation is over and it's not even summer yet! When you go on vacation, do you disconnect? Leave sewing behind? Where will you go on vacation this year? I always take knitting with me, but this year I am taking my old sewing machine down and will leave it at our condo. That way on future trips I will have a machine if I want to sew. And the 7.5 hour trip? Try 16 hours from Indy to Daytona! But this trip I am flying and Hubster is driving down from TN after his golf trip, with my machine. Works for me! Love your shots at the beach. 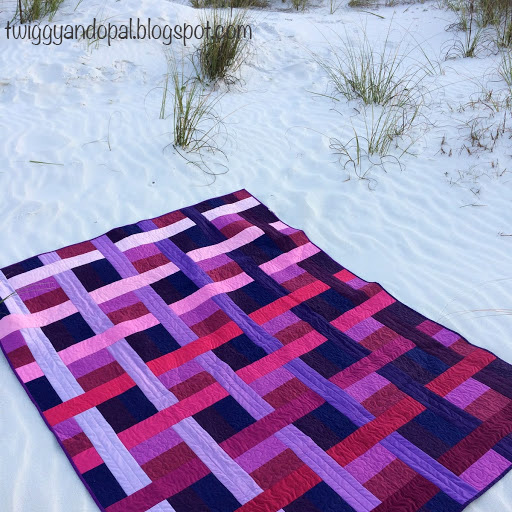 The white sand makes the colors of your quilt even more bright. It seems it was a great vacation. It was an amazing week and one that I’ll remember for a long time! 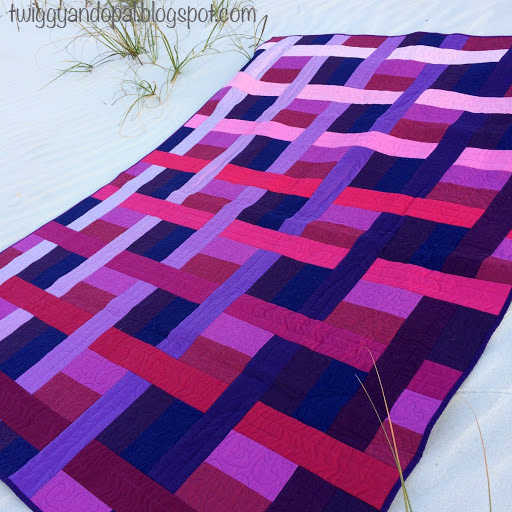 The sand seemed like the perfect background for this quilt. I can still feel the warm soft sand on my feet! Wish I was still there! Gotta love the Gulf Coast. 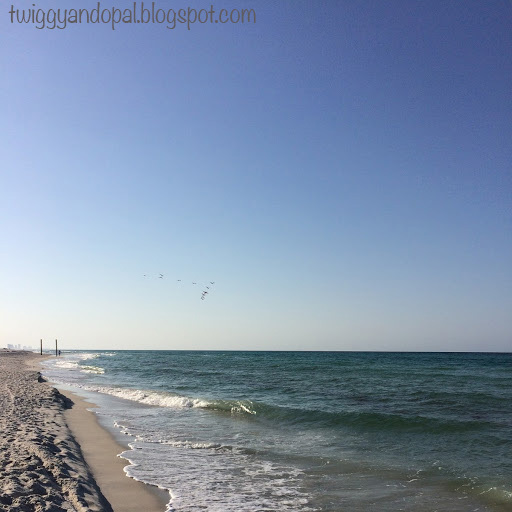 We go to Perdido Key, which is between Pensacola and Orange Beach AL. We see pelicans there all the time, too, and sometimes dolphins. We've also seen rays a couple of times. 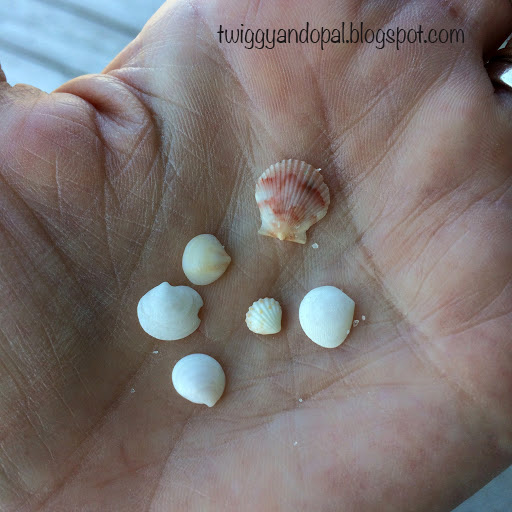 Sometimes there are sand dollars or bits of coral, but that stretch of beach is not great for shells. In September if you're lucky you might get to see a turtle nest hatch and the hatchlings make their way to the water. So refreshing to get the vacation beach fix!!! I'm glad you got some time to truly relax and disconnect, Jayne. The beach, sky, sun, and water are always amazing therapy for me, too. I do try to disconnect completely when I'm on a vacation like that (although it's been years). Congratulations on the quilt finish. The colors are vibrant and the design is so striking! Its funny, I feel guilty when I totally disconnect, but it is such a relief to do it. We sometimes don’t realize just how much social media takes over our lives! We don’t get a chance to go to the beach often, or take an actual vacation. When we do we try to enjoy every second of it! Therapy is a good word for it…I wouldn’t mind being in that kind of ‘therapy’ every day! 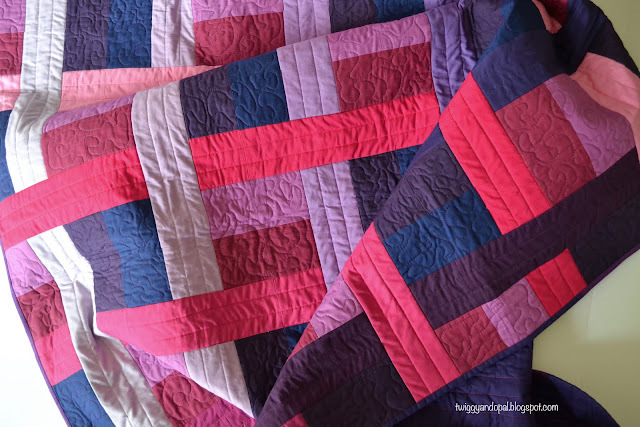 Such lovely colors in your quilt! I totally disconnect on vacations. And the funny thing is, way back before I started quilting, as we would drive home from a vacation, my brain was oh, so ready to create something, and I would actually look at the scenery passing by and envision colors and textures and themes in quilt form! Guess I was priming my brain w-a-y back, lol! Sounds like a wonderful get-away! 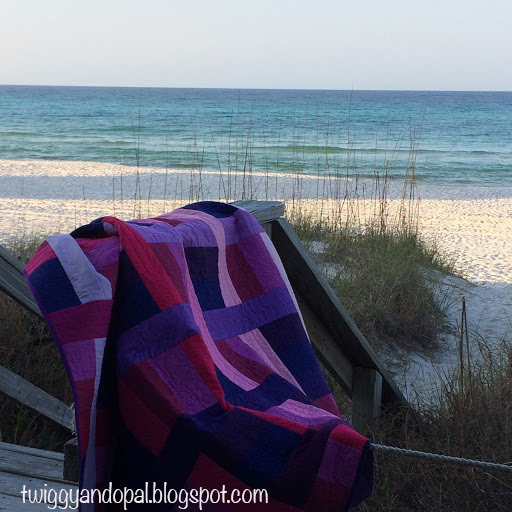 Love the quilt and so glad you got some photos at the beach! I rarely take a vacation and travel far away. I just enjoy taking time off and spending it in my yard - my favorite place to be. Your quilt is lovely. Thanks for sharing with Oh Scrap! Wonderful beach shots, with AND without your newly completed quilt!!! With the gorgeous sunset and the stunning photos of your quilt on the sand, you post was an eyeful. So glad you had that getaway at this ideal time of the year. What great quilt photos!!!! I'm bringing my sewing machine with me this year. Maybe I should bring some recently finished quilts for photos, too! The quilt photos look wonderful. Such a lovely vacation. Glad you had a great time and were able to disconnect. Greta quilt and photos! I really like how you combined the straight and curvy quilting to emphasize the weave look to the quilt. I think it was worth the trip just to get those great photos. A getaway is always nice. Looks like you had a wonderful week. Welcome back! Hi Jayne, that is a great quilt and amazing pictures! 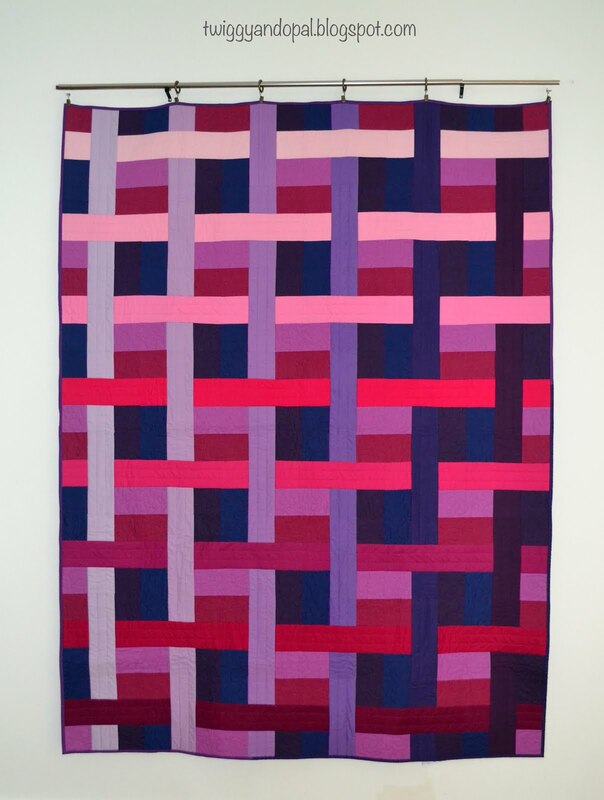 I love the basket weave quilt. I don't know many quilts dedicated enough to finish a quilt while on vacation. Your beach photos are so pretty. Maybe you'll get another vacation this summer, if only for a few days. At least you beat the heat at the beach. Beautiful quilt! You certainly had a wonderful vacation!